According to recent studies, one of which comes from the American Cancer Society, the LGBT community smokes at a rate 50%–200% higher than the general public. That’s a whole lotta butts. Thanks to the growing popularity of electronic cigarettes, however, more and more members of our community are kicking the habit in favor of vaping, the process of ‘smoking’ e-cigarettes. 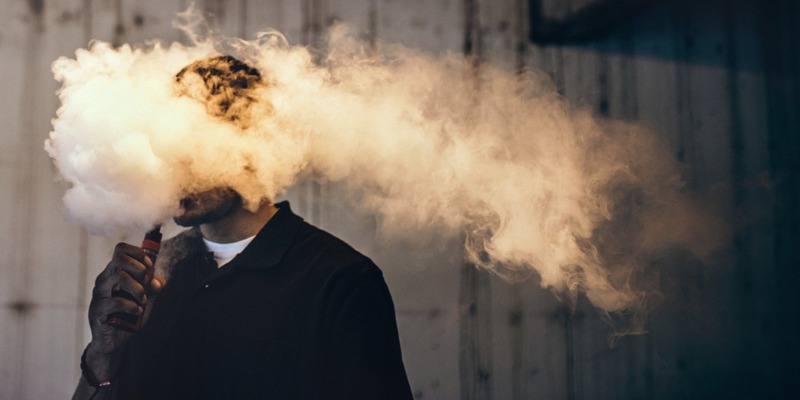 But while this trend may seem like the perfect alternative to inhaling red-hot carcinogens, vaping has a dark side all its own. To help you make a more informed decision about your health, consider these dangers of e-cigarettes — and kicking the stick altogether. E-cigs still contain cancer-causing ingredients. 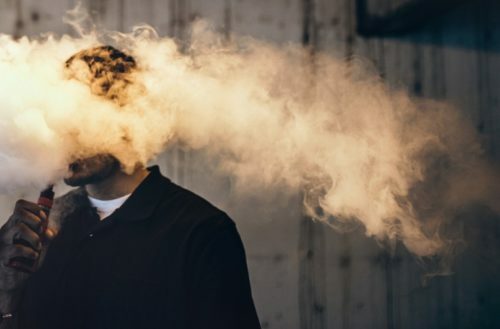 You might assume that because e-cigarettes don’t produce a heat-induced smoke — they produce a vapor instead, hence the term “vaping” — there are no carcinogens in the mist. But according to The New York Times, some e-cigarettes “get so hot that they, too, can produce a handful of the carcinogens found in cigarettes and at similar levels.” The number of carcinogens in e-cigarettes pale in comparison to the 60 or so associated with traditional cigarettes, but all that means is that you’ve chosen the lesser of two evils. You’re still a slave to nicotine. Most e-cig converts want to quit smoking — or at least stop pumping their bodies full of harmful chemicals — and vaping seems like the perfect solution. There’s no tobacco in an e-cigarette, which means no smoke, but nicotine — the stuff that keeps you hooked — is a common additive in liquid form. In fact, some products contain nicotine levels comparable to regular tobacco products. So if you’re trying to ween yourself off nicotine altogether, your efforts are futile. Plus, and here’s the kicker, liquid nicotine can be lethal if handled improperly. “Only a small dose is dangerous — less than one tablespoon of many of the e-liquids on the market is enough to kill an adult, and as little as a teaspoon could kill a child,” according to The New York Times. You looked stupid smoking cigarettes, and you still look stupid vaping. If the health dangers of e-cigarettes don’t faze you, perhaps the fear of looking silly will, especially now that you’re in the minority. It’s true — a mere 18.1% of Americans still smoke cigarettes, according to the Centers for Disease Control and Prevention, while a paltry 3.3% vape. What was once a popular pastime is now a dirty little secret that only those who didn’t get the memo perpetuate. And, let’s be honest here — at least smoking an actual cigarette looked cool at one point. Smoking a fake cigarette — well, let’s just say that nobody’s rushing to your Harley to drive off into the sunset, are they?